Bloom London Dry Gin is a popular Craft Gin available from Tesco Groceries in 70cl to buy online. Visit Tesco Groceries for the best price for 70cl of Bloom London Dry Gin or compare prices on our other Craft Gin products. BLOOM is a intricate herbaceous London Dry Gin, inspired by the natural flora of an English country garden. Chamomile, pomelo and honeysuckle were chosen as the three key botanicals, each one helping in its own special way to create a more intricate, understated gin. Light, floral and delicate with mild honeysuckle, orange notes and a gentle kiss of camomile. Where to buy Bloom London Dry Gin ? Bloom London Dry Gin Supermarkets & Stockists. 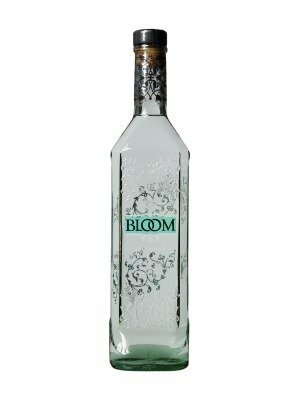 You can buy Bloom London Dry Gin online in most retailers and find it in the Craft Gin aisle in supermarkets but we found the best deals online for Bloom London Dry Gin in Tesco Groceries, Amazon.co.uk, Waitrose Cellar, 31dover.com, DrinkSupermarket.com, TheDrinkShop, and others. Compare the current price of Bloom London Dry Gin in 70cl size in the table of offers below. Simply click on the button to order Bloom London Dry Gin online now.